Find Better Ideas, Faster ® with a custom blender trend report, our PRO Dashboard and 80+ categories of premium trend reports. 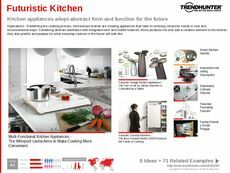 The Blender Trend Report focuses on kitchen blenders and mixers for cooking, baking and making smoothies. 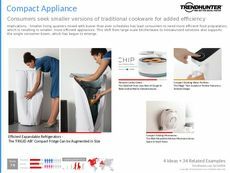 A rising pattern of compact designs of kitchen appliances is showcased in the report, with innovations like handheld blenders saving space. 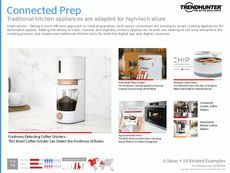 Connected kitchen appliances are also increasing in prevalence, leading to blenders that turn on when the owner's smartphone alarm goes off in the morning. Lastly, we look to the designs of popular brands like Vitamix and Magic Bullet for inspiration. 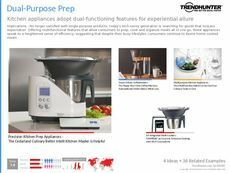 This is a good tool for kitchen appliance designers and retailers, as well as marketing agents and retail display designers for understanding the demographics that are interested in purchasing blenders. 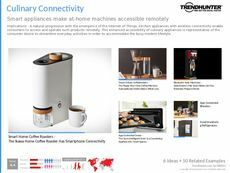 It's also useful for product developers of kitchen appliances to gain inspiration for additional features that can be integrated into new designs. 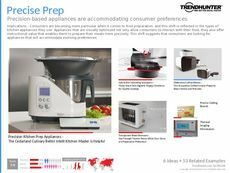 The Blender Trend Report is a wealth of knowledge on small appliances for the kitchen and highlights the features that appeal most to consumers who like to cook and bake.